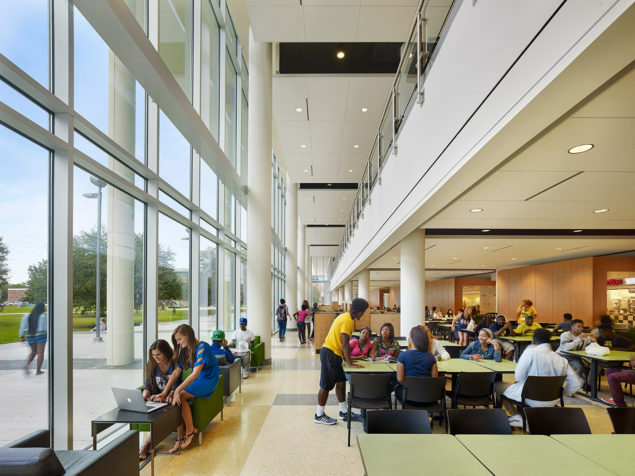 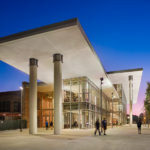 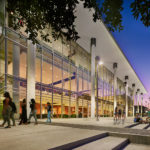 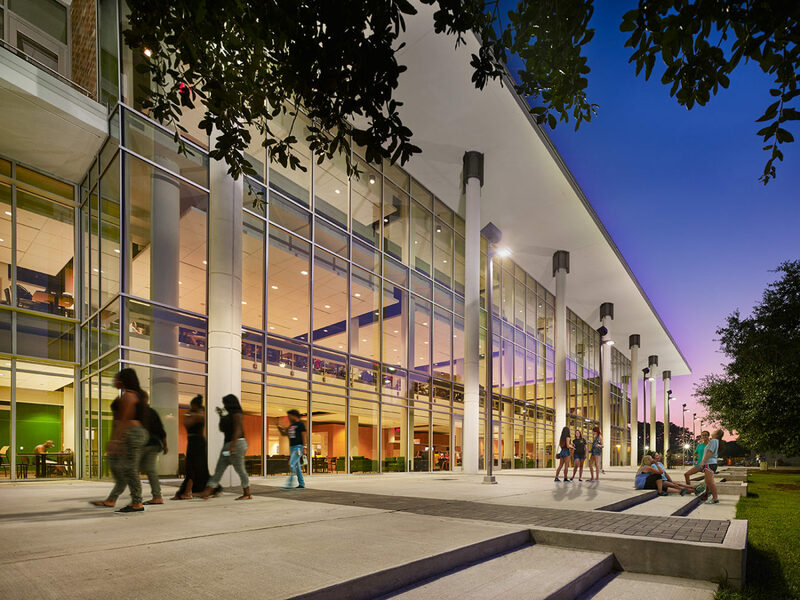 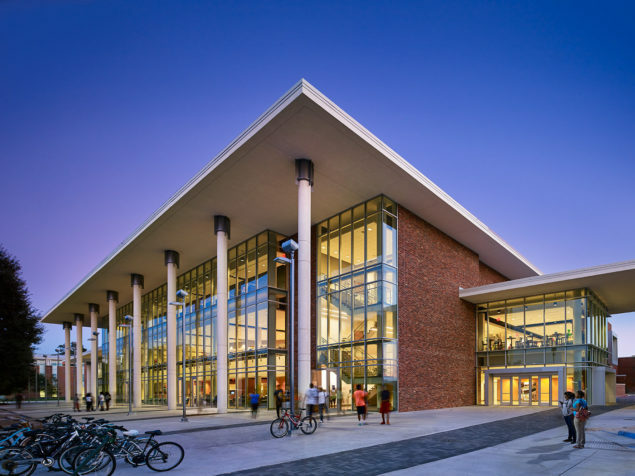 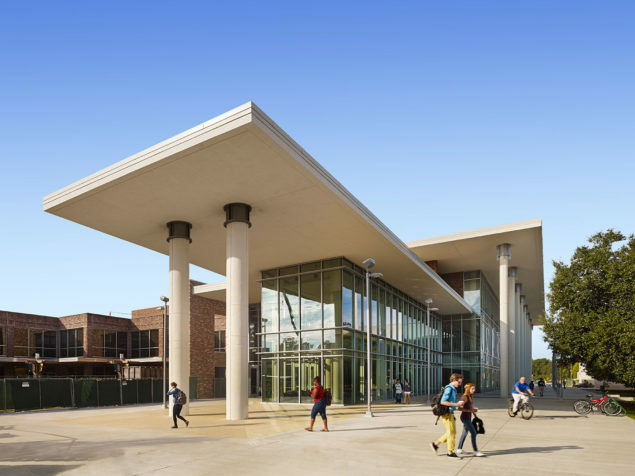 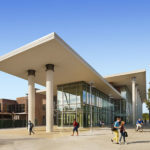 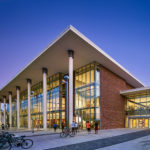 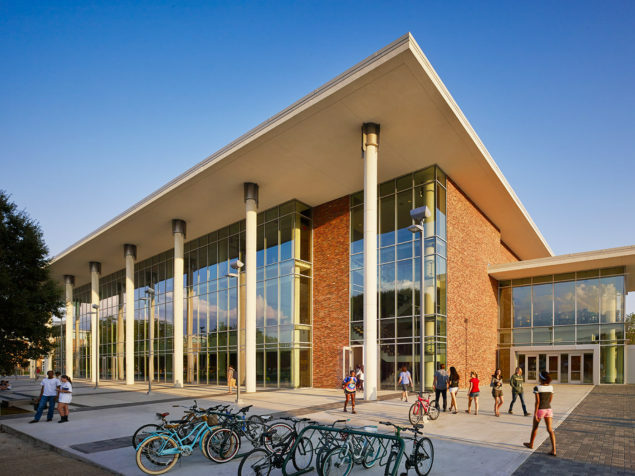 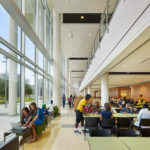 The expansive glass exterior affords compelling vistas of the quad while displaying the vibrant activity inside the center to the campus community. 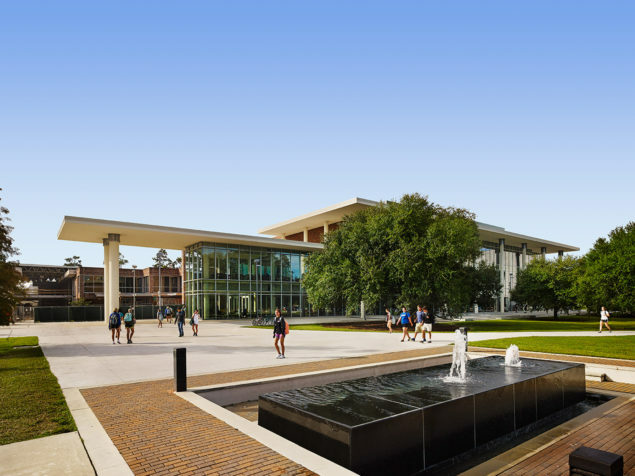 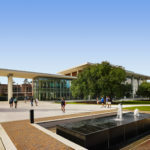 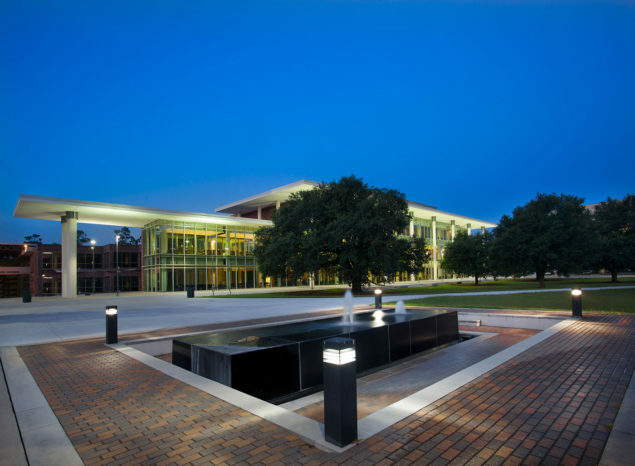 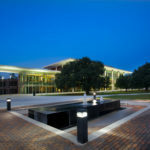 A shaded plaza along the edge of the quad offers a major pedestrian pathway and gathering spaces that further engage the campus. 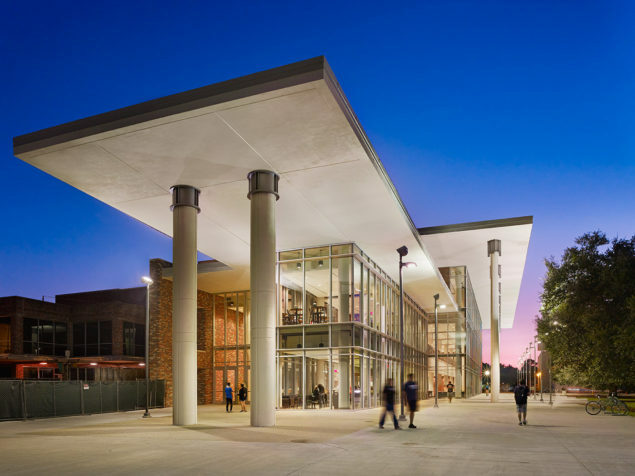 The three-story addition houses: a marketplace, retail dining, and recreation on the first floor; residential dining on the second floor; and a major ballroom and lounges on the third floor. 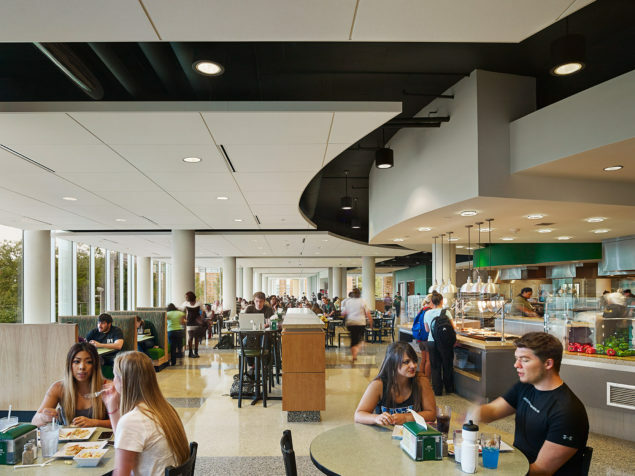 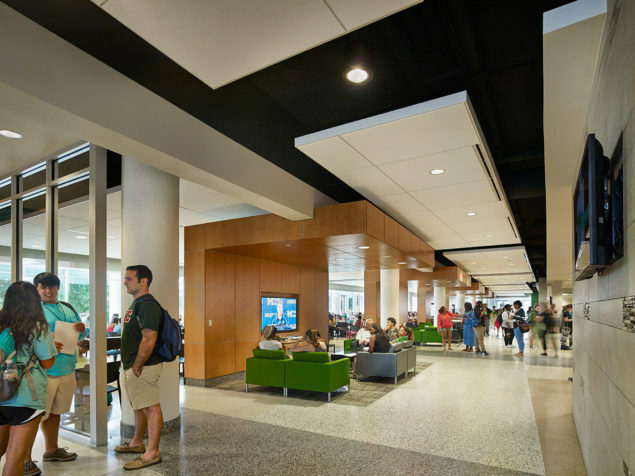 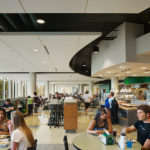 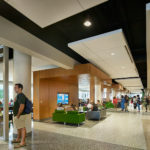 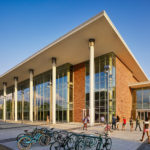 Renovation of the existing building integrates updated student services spaces, meeting rooms, and bookstore into the student center.